Sit quietly and become centered with no distractions. Just relax in the quiet. Let your mind wander to wherever it wants to go, without thinking about anything. When you feel relaxed, take a few deep breaths and become aware of your body. Then, choose a truth you know for sure. For example, your name. Then state out loud: ‘My name is ________.’ Notice: Where did that land in your body? And, how did it feel? You may feel open, light, or expansive. Take note of how that true statement feels in your body. Next, state a different name out loud ‘My name is ________’. Notice where that statement landed in your body. Notice how it feels to hear an untruth. Many feel a closed, warning type feeling in their heart chakra or solar plexus. That is why intuition is referred to as a ‘gut’ feeling. Our truths and our warnings or non-truths feel different. But, they will typically feel the same each time. When things are true – or a right choice for us – it lands and feels a certain way. When things are false – or not a good choice for us – we feel closed or tight, often in our ‘gut’. Once you figure out how and where your truth feels for you, you will be able to quickly decipher what your intuition is trying to communicate to you – on any question or choice! To tune in to see if something or someone is or isn’t a good choice for you, sit with it and feel through your body and sense if you are pulling it or is it pulling you. What is FOR us will be pulling us. That is a go. We will feel heaviness or dragging feeling for things we need to release or not pursue. With practice, it will strengthen and become second nature! Pay attention to sleep and digestion. When you cannot sleep or maybe lose your appetite consider what else is going on in your life. Are you in the midst of having to make an important decision? This may be another way your intuition is trying to guide you as sleep and eating are two of the first places affected when the body is tuning in to intuition. Take into account the wider context of circumstances as opposed to just paying attention to present circumstances – any hesitation you feel may be related to something bigger you need to look at or understand. Do your homework. Support the feeling you have by digging deeper and doing your research so that you have all the tangible information as well. Trust what you get. Trust what you ‘just somehow know’. The more you trust in the unseen, the more opportunities and information you will see. 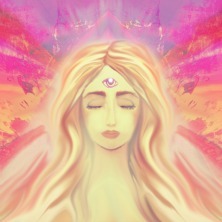 You will soon be using and respecting your intuition as the sixth sense partner it truly is! “Trust your hunches. They’re usually based on facts filed away just below the conscious level.” ~ Dr. Joyce Brothers. Previous Post10 Strategies to maintain your “sanity” this holiday season!Next PostGet unstuck!